Almora is a well-known hill station located in Kamoun division of State Uttarakhand. Almora is surrounded by Pithoragarh district to the east, Garhwal region to the west, Bageshwar district to the north and Nainital district to the south. Almora is famous for its bewitching views and panoramic views of himalayas. The picturesque landscape of Almora attracts thousands of tourist every year. There are various tourist destinations and must visited place in Almora. Nanda Devi Temple: Nanda devi temple dedicated to Goddess Nanda is one of the most visited scared temple located in heart of Almora city . Goddess Nanda devi temple is said to be destroyer of evil. The famous nanda devi fair takes place in Almora every year in month of September. Thousand of devotees and tourist visit Almora to participant in fair every year. Chitai Golju temple : Chitai golju temple is dedicated to God Golju, one of the most interesting spot in chitai golju is unique collection of brass bells of different sizes that have been donated by the devotees to the temple over the centuries. These bells signify the offerings and thanksgiving the devotees’ gift to the God on the fulfillment of their wish. It’s also interesting to see the stamp papers of legal proceedings draped on the walls of the temple by devotees stuck in legal hassles. 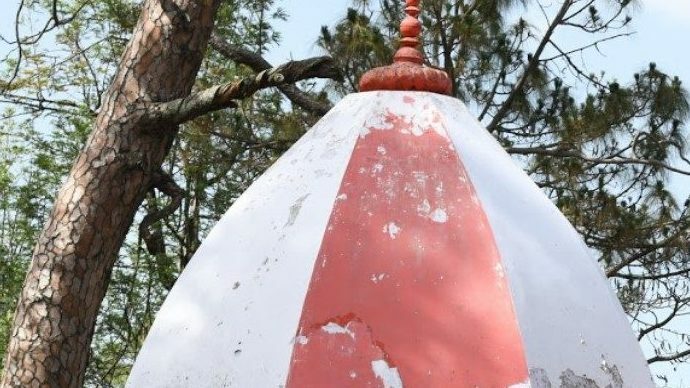 Kasar Devi temple : Kasar devi is a temple located in Almora, Uttarakhand. On Kartik Purnima a huge fair takes place in Kasardevi. Swami vivekanand , in his dairy shared his experience of Kasar Devi. Also, he meditate in this temple. The Region has enormous geomagnetic field therefore considered as the best place to meditate and have some special importance in Almora.